On National Poetry Day, Thursday 6th October 2016, 11am – 4pm, poets and artists will be “saying it with a poem” at Trowbridge Town Hall. Inspired by Sophie Herxheimer, the poet and artist who’s designed NPD’s artwork this year, poets, including Josephine Corcoran and members of a new Poetry Society Stanza which meets at the Town Hall, and artists are going to work together to make message poems and images to go on display. Poets and artists of all ages and abilities are invited to join in. Read on to find out how to be involved. You can choose to write your poem in advance and bring it in on the day. Your poem will be displayed and you’ll be able to read everyone else’s. 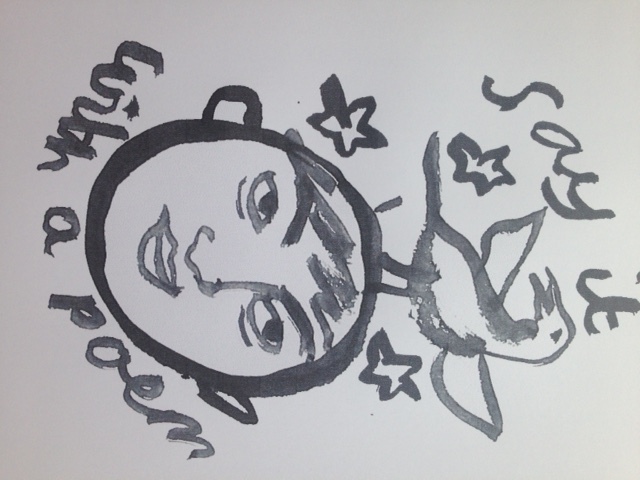 Or you might like to write and illustrate your own poem/s on the day. 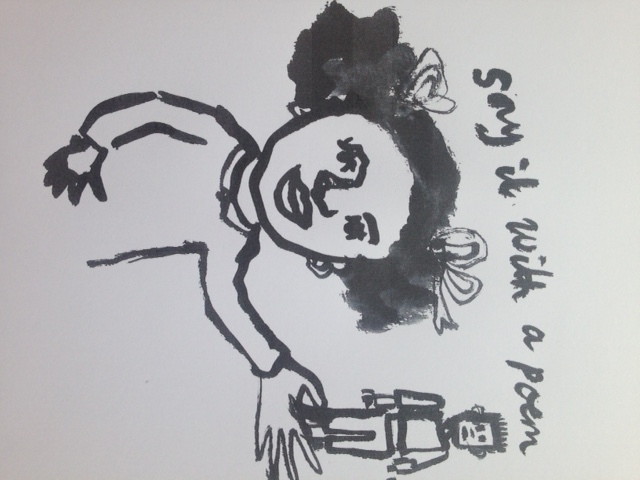 Or you could choose to collaborate with a poet or artist to make a poem image message. 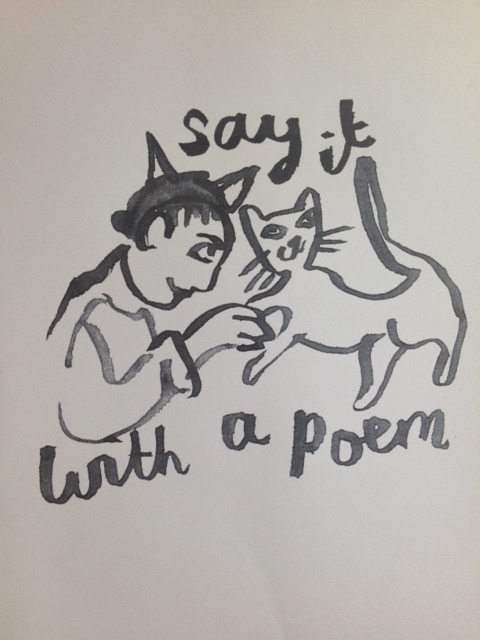 Whether you’re an artist, a poet, or both; whether you’d like to bring in a favourite poem which contains a message; whether you’d like to read everyone else’s poems; whether you’d like to pop in for a poetic lunchbreak (tea and coffee available); whether you’d like to meet and chat to other poets and artists; whether you’d like to help other people write a poem or illustrate a poem – you’ll be very welcome. Poets and artists who would like their ‘messages’-themed work to stand alone (without an image or poem) are very welcome. It could be that poems and images created individually will complement each other. It will be interesting to see the different interpretations of ‘messages’ and we hope that poets and artists will inspire each other. If you haven’t been to Trowbridge Town Hall before, you’re in for a treat. It’s a beautiful building with a fascinating history which you may well find inspires your poem! come along on the day, National Poetry Day, 6th October 2016, 11am – 4pm. Hope to see you there! I’ll copy this post over at Town Hall Poets where you’ll find other news about poetry classes and events at Trowbridge Town Hall. Me too! I have her book ‘The Listening Forest’ which is almost as good as a walk in the woods.